We live in a world where people have started referring to Nuclear Warheads like it is something they have seen in a movie or on High Definition TV while sitting on their plush Couches with a remote control giving them the Divine power to change channels. But we all know that’s not the case. 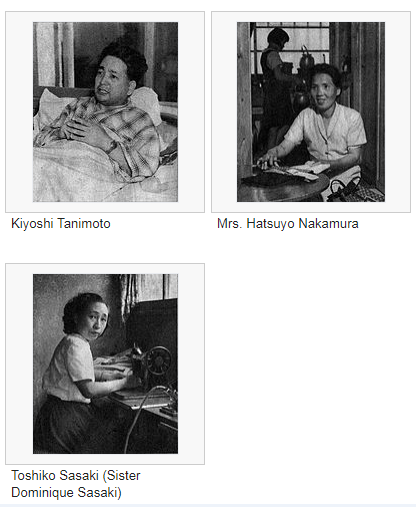 That is why it is important that we regularly go back in time and understand what happened and what the experiences of people were at that time. To understand clearly the devastation it caused and the meaning of Humanity as a whole then and now and in the future ahead. Everyone knows the event, but not everyone knows the date; it was on August 6, 1945 that the ‘A’Bomb was dropped on Hiroshima. The next one was dropped in Nagasaki on on August 9, 1945. While like many I was also aware of the devastating impacts of the Bombs and have spend time imagining the impact to people’s life at that time and there after. But this book makes you look more deeper. Like many other things my understanding of history has been a big reason why I detest War and its devastation so much. 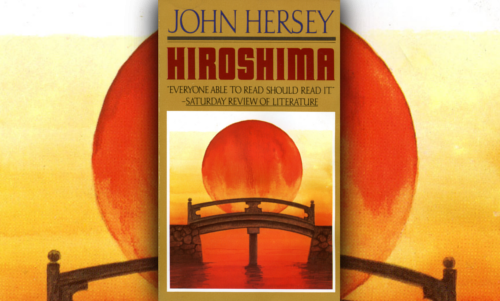 As part of my 2017 Goodreads Challenge I finished the Pulitzer Prize-winning author John Hersey’s book ‘Hiroshima’ that tells you about the life of six survivors who were in Hiroshima. The book dedicates a Chapter each to one of the witnesses starting by describing how their day was prior to the dropping of the Bomb and then takes you through their experiences immediately after the bombing and for one year after that. This was originally published as an Article in New York Times and then the book in 1946 book. This is considered as one of earliest examples of the New Journalism, in which the story-telling techniques of fiction are adapted to non-fiction reporting. My edition was a much later one and so it had the additional chapter covering the aftermath 40 years after the bombing and includes details of the Witnesses as they move on with life. The book takes you through a kind of reporting that will leave you with no words as you see through the experiences of the six characters looking at the devastation created by something that is so less powerful than what is in the arsenal of many countries today. And then you think what will happen next. It has been much over half a century since that fateful day and the world has seen many wars in various parts of the world and we now live in a time when there are more senseless people with a finger on the trigger. That also makes us become aware of the importance of foreign policy and diplomacy and the need to not aggravate situations. When we think deeper we also understand that many times decisions are choices between two events and by weighing the devastation degree. There is no perfect solution at this point because we have brought it to a level as such. There is no other planet out there, no other way to survive, no heaven or hell or place where the soul (if you think there is one) resides in eternal bliss. All we have is this and it is not just about war alone, but it is also about life on earth and how our actions impact negatively. The responsibility is not just to live OK through our life, but to leave this world in a more peaceful and resourceful state than we received it. I recommend that you all read this book as it is important to learn that part of history over and over again so we never see it again.